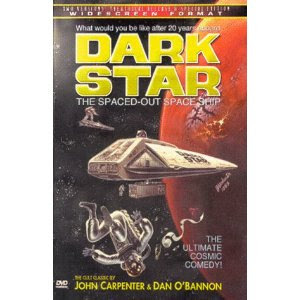 The image you see above is the cover art for Dark Star, a seminal film from the early 1970s. It was the first sci-fi stoner comedy and while that may not seem so noble, it was also an early effort from sci-fi master John Carpenter. I’ve seen it, and while it’s not the best movie ever, it’s a part of history and if you are a fan of sci-fi and horror, it’s something you should seek out. Except, well, you can’t. Spend up to $20 if you want to buy the physical disc, and that may be your only choice. It’s better than nothing but for a film you’ll likely only watch once it’s not very appealing. That’s why we need a national streaming library. Libraries as a whole may seem like a relic of another time, but there was a time they were the proudest asset of many cities and towns. The Library of Congress contains a copy of almost every printed or recorded work in the US, and many of its contents are available online once their copyrights expire. Unfortunately copyright extensions in previous years mean that almost nothing ever falls into the public domain, and that’s why we need a national streaming library. Here’s the concept: If a title isn’t available for streaming from any major service at any price, the Library of Congress would permit you to stream it at a fair price (say $3 per title.) There are thousands and thousands of films and TV show that are not available anywhere but are still under copyright; they’re an important part of our heritage. Unlike books which stay in libraries once they’re out of print, TV shows and movies simply disappear if there is no way to watch them. In my mind, I see this as a joint venture between the Library of Congress, motion picture academy, television academy, and a streaming player like Apple, Netflix or Google. The government could provide some oversight while the companies could provide the playback technology. Before you say this isn’t the most important thing the government needs to handle, remember that movies and TV are the distillation of our culture, the very essence of the thing we fight to protect. It’s something we all share and something that should be there for everyone. At the very least an initiative like this would force studios to keep movies and TV shows available. What do you think? Do you think this would be something worth doing?